Stocker signed an undisclosed contract with the Falcons on Thursday, Aaron Wilson of the Houston Chronicle reports. Analysis: Following a slew of injuries in Tennessee, Stocker got a chance to perform, catching 15 of 21 targets for 165 yards and a touchdown in 2018. With his new team, the 30-year-old will likely slot in behind Austin Hooper on the depth chart. Stocker hauled in one of his two targets for 22 yards and a touchdown in Sunday's 33-17 loss to the Colts. 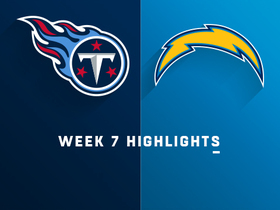 Analysis: Stocker briefly exited the game early on, but re-entered and hauled in a 22-yard score late in the third quarter to bring the Titans within seven points. Despite the absence of both Jonnu Smith (knee) and Delanie Walker (ankle), Stocker saw more than two targets on only one occasion throughout the season. Considering that he was unable to emerge as a pass-catching threat among the crowd of mediocrity at the position, there is little fantasy intrigue for Stocker looking ahead to the 2019 season. Stocker (knee) is questionable to return to Sunday's game against the Colts, Turron Davenport of ESPN reports. Analysis: Stocker was able to leave the field under his own power, so it doesn't seem as if the tight end is dealing with a major injury. MyCole Pruitt should see a heightened role in his absence. Stocker caught both of his targets for 27 yards in Sunday's 17-0 win over the Giants. Analysis: Stocker caught passes of 15 and 12 yards, both good for first-down conversions. With Jonnu Smith (knee) sidelined, Stocker led the team's tight ends with his effort, though the entire passing attack was slowed by game flow and subpar weather conditions. 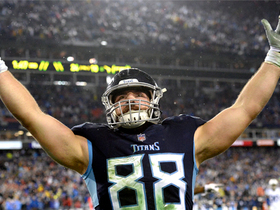 Anthony Firkser appeared to be the new lead tight end heading into Sunday's game, but Stocker could also be an ongoing beneficiary if the Titans take to the air more in Week 16 against Washington. 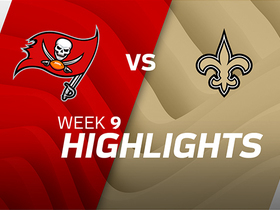 Stocker caught his only target for seven yards in Thursday's 30-9 win over the Jaguars. Analysis: Stocker made his only catch late in the second quarter, though the play was hardly noteworthy. He's a part of the team's crowded tight end rotation, which has limited him to one or fewer targets in 7 of 13 games this season. Jonnu Smith (knee) did suffer an injury, and if he is unable to suit up in the team's Week 15 matchup against the Giants, Stocker could see a slight bump up in his role. Still, that wouldn't be enough to make him fantasy relevant. 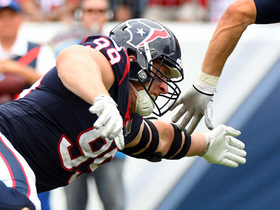 Stocker caught his only target for 14 yards in Monday's 34-17 loss to the Texans. Analysis: Stocker caught his pass early in the second quarter to convert on a 3rd-and-two and keep the Titans' drive alive. 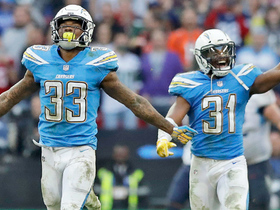 However, his more noteworthy impact on the game came later in the possession, when he failed to convert as a runner on a 4th-and-one play at the Texans' three-yard line. 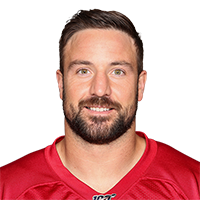 Stocker has now caught at least one pass in four of his past five games, though he's never totaled more than 16 yards in any of those efforts. 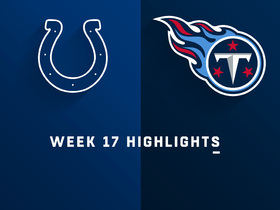 Stocker hauled in two of his three targets for 16 yards in Sunday's 38-10 loss to the Colts. 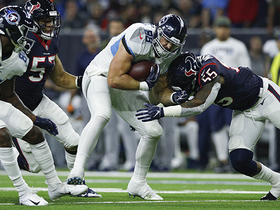 Analysis: Stocker was one of four tight ends to record a catch for the Titans, though Jonnu Smith has emerged as the leader at the position group. 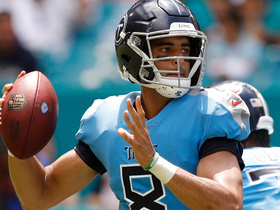 Both of his catches came in the first half -- Marcus Mariota (elbow) was still under center -- with the longer of his two catches good for 11 yards. Stocker has not been targeted more than three times in a game this season, meaning his fantasy relevance is extremely limited. Tennessee Titans quarterback Blaine Gabbert escapes defenders for a smooth running throw to tight end Luke Stocker. 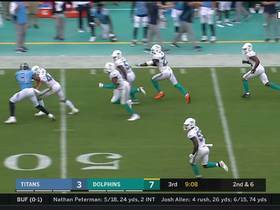 Tennessee Titans defensive back Reshad Jones intercepts pass intended for Dolphins Tajae Sharpe for a 26-yard gain. Tennessee Titans tight end Luke Stocker gets open to receive a 31-yard pass from quarterback Marcus Mariota. 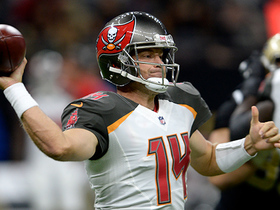 Tampa Bay Buccaneers quarterback Ryan Fitzpatrick finds tight end Luke Stocker for 8-yard touchdown vs. New Orleans Saints in Week 9 of the 2017 NFL season.